Hello! 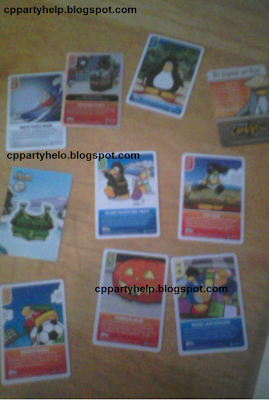 I know today I said I was going to buy some new Card-Jitsu Water cards, but I already bought them! Let me tell you this, this new game is going to be awesome! I'm very excited for the new game coming soon to Club Penguin! Check out the deck I bought today! Awesome right? Heres a closer picture of the new ninja! Here are some pictures of the cards I got! But just to let you know, they are NOT in high quality! I had to take the pictures with my cell phone because my camera has gone missing! I love that Halloween card! Looks like I got some more cards to add to my collection! 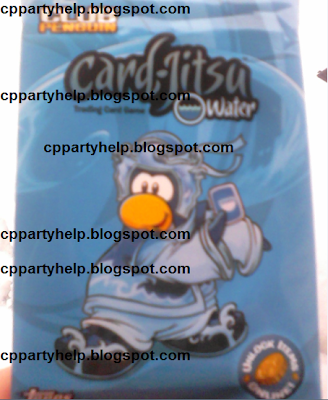 Now remember, when you buy Card-Jitsu Water cards they will not work until the official Card-Jitsu Water game is out! 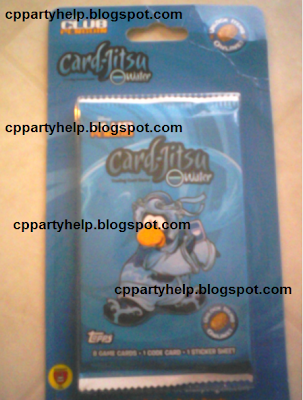 Card-Jitsu Water will be coming November 24th! So get ready!